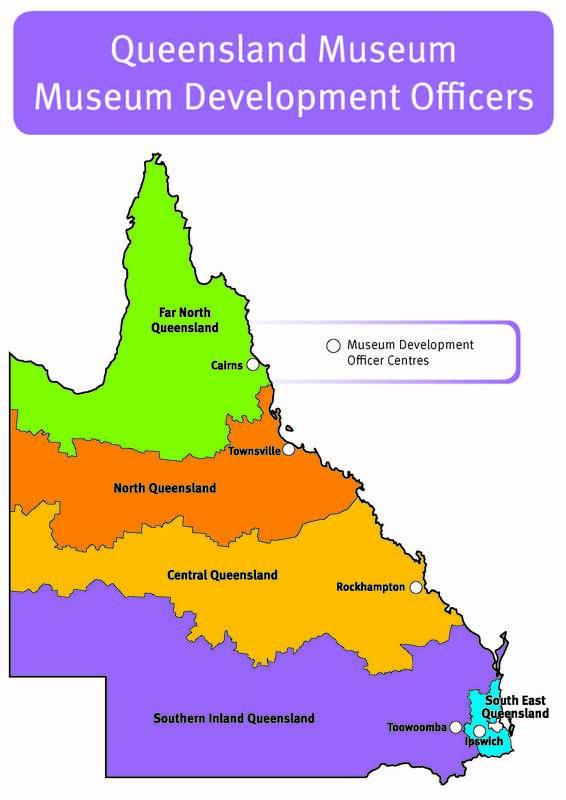 Queensland Museum’s Museum Resource Centre Network provides vital support for regional community collections across Queensland. The Museum Resource Centre Network is an important partnership between the Queensland Museum and Arts Queensland. The Network employs five professionally qualified Museum Development Officers, known as MDOs, who are based in Cairns, Townsville, Rockhampton, Ipswich and Toowoomba. Lovely to have a photo and see you all! Great to put faces to names. Love the blog idea and I’ll promote it in the libraries. Wish we had the similar for Tasmania. You lucky Queenslanders.